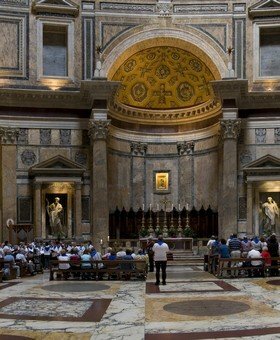 Optimize your time with a private tour of Rome highlights. An expert local guide will show you all the highlights of Rome and the Colosseum, all in one day. 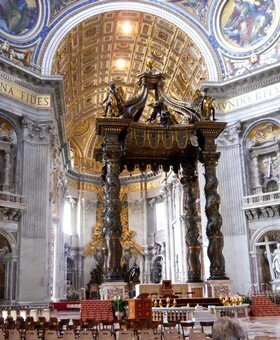 Rome in a day is a comprehensive tour that will show you all the main attractions of the city. 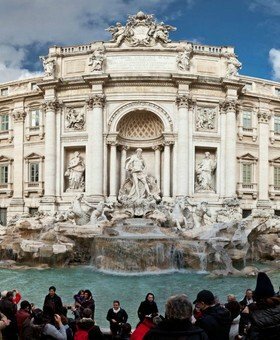 You will enjoy the beauties of the Eternal City through the eyes of a local expert guide! 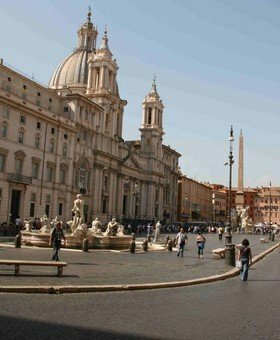 After leaving the Vatican, you will need a taxi to reach Piazza Navona, where you can enjoy a relaxing lunch break (lunch at your expense – the guide will recommend typical restaurants based on your preferences). 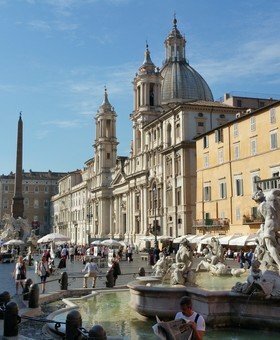 Piazza Navona, the ellyptic square built on the foundations of an ancient Roman stadium. Here you will see another magnificent work by Bernini, the Fountain of the Four Rivers, facing the beautiful facade of the church of Sant’Agnese in Agone, built by his rival Borromini. 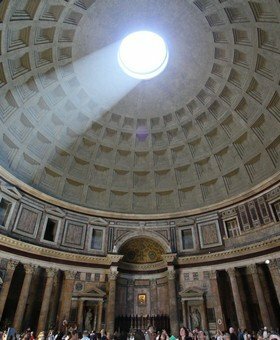 After a short walk, you will reach an ancient Roman temple transformed in church: the Pantheon. 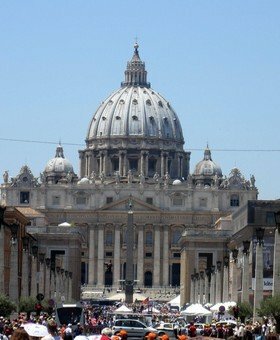 Here you will be amazed at the largest dome built in ancient times, and will see the tombs of important persons: the first king of Italy, Vittorio Emanuele II, and the famous artist Raphael. 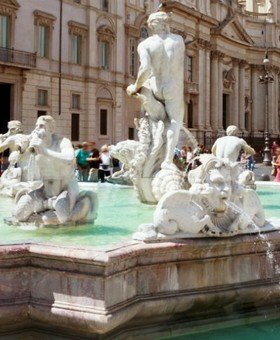 Not far away is the most famous fountain of Rome: the Trevi Fountain, a masterpiece of the late Baroque style. 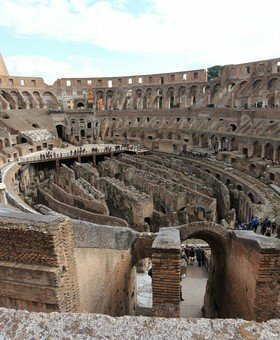 Finally, in the much less crowded afternoon you will join the privileged line with your skip-the-line tickets and get inside the Colosseum, to hear stories about the gladiators that fought in the amphitheater in front of 80,000 persons. This tour has a duration of 7 hours, split in two sessions of 3 hours and 4 hours, with a lunch break in between. 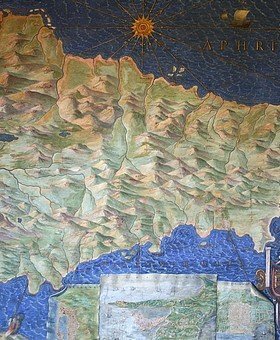 The itinerary is indicative and can be changed in case some rooms of the Museums are inaccessible for restoration. 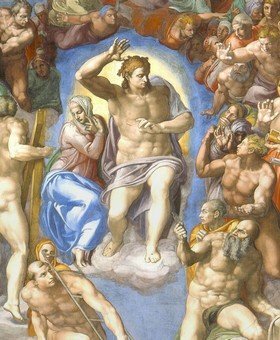 Entrance to the Sistine Chapel, St Peter’s Basilica, the Pantheon and any other religious place is subject to restrictions: your clothing must be appropriate and cover your shoulders and knees. Even with skip-the-line tickets, expect to wait some minutes to enter the Colosseum, especially during high season; in particular, entrance to the Colosseum depends on the maximum capacity, set in 3000 persons. Large backpacks, tripods, and long umbrellas will have to be left at the entrance and be collected at the exit (this service is free of charge, but we suggest not to bring with you these objects). Even if you cancel this tour in time (at least 7 days in advance), there is a cancellation fee of € 60/adult and € 25/children because entrance tickets are not refundable. We wanted to see as much as possible of Rome, having only one day, and I was very lucky to find this tour and this company. Andrea organized our pick-up with a comfortable Mercedes class V to optimize our time. We skipped the lines at both the Vatican and the Colosseum. The guide was excellent. Not much more to say, I recommend this company! This tour is amazing, but also very long and tiresome. If you have more than one day in Rome, it’s better to book half-day tours. the guide spoke English very well and was very knowledgeable, but the walking distances are quite long, and it was a very hot day. Visiting Rome was the most important part of our trip through Italy; I wanted to see as much of the city as possible and we only had one free day to explore beyond what was already planned. We were on somewhat of a budget to be able to see everything we wanted so this Rome in a Day tour was perfect! We saw a lot of the city and for much less than trying to go and see it on our own; highly recommended for anyone considering it. The Rome in a Day tour is by far the best tour in all of Rome… even all of Italy! The perfect time spent in the most beautiful city in the world! When my family and I visit a new place in the world, we like to see as much of it as possible; the only major issue we usually face is that because we’re travelling so far from home, our time in each city is incredibly limited, most of the time with only 1 day to really explore each one. When we finally decided that the next country we wanted to explore was Italy, the first place that we all wanted to go was Rome; it’s the most famous Italian city we knew and has so much history! 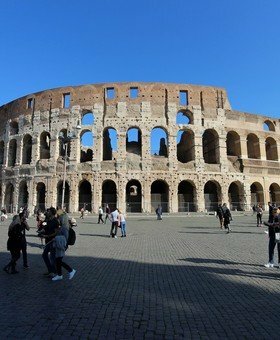 We didn’t want to just try to explore it on our own so we booked a personal tour and chose the Rome in a Day tour to see if we liked it to maybe book more for the other cities we were planning to explore. The tour was absolutely incredible; our tour guide was very knowledgeable, and the city was even more amazing than we were expecting. We will definitely be using these tours in the other cities! We were arriving in Rome via cruise ship and we opted for this tour. Antonella arranged our pick-up at Civitavecchia port, and a shiny Mercedes van was at our disposal all day. We met Antonella at the entrance of the vatican museums, had a great tour of the highlights, including the Basilica, then the van drove us to Trastevere for a typical local lunch, which was the best we had during our cruise. In the afternoon, we were a bit tired and Antonella suggested us to alter the itinerary and continue with a driving tour, showing us all the highlights of the city. It was a great use of our travel budget, and we appreciated the flexibility. It was, by far, the best excursion we had during our cruise. 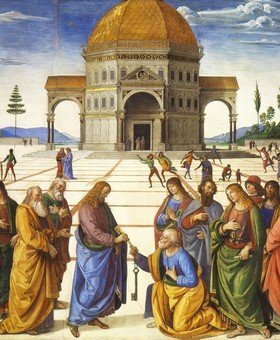 We visited the Vatican Museums and St Peter’s Basilica in the morning, and the chance to see wonderful works of art with a personal tour guide was priceless. 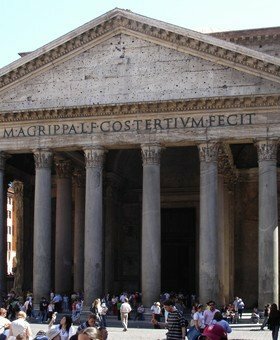 We requested to slightly alter the tour in the afternoon, visiting the Coliseum and other ancient ruins from outside to have time to also see the Pantheon and Trevi Fountain. The tour was organized as per our request and we enjoyed a great day. I recommend to contact this company before booking, they will answer quickly and be very flexible with their tours. I had a fantastic day in Rome with Maddalena. We had a long tour of the Vatican, including the Sistine Chapel, then we visited the Colosseum (no lines). Lunch was great. Thank you! 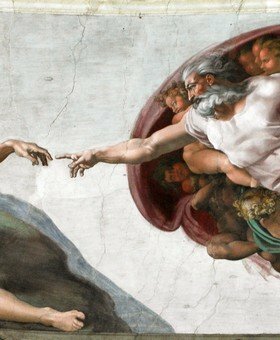 Just came back from our trip to Rome. We have three boys ages 12, 10, and 5 and after reading some reviews about local guides we decided to try this tour. First of all, both the company and the guide were great responding to all my emails and questions. Many of the other companies would take several days to respond while they never left a question unanswered for more than few hours. The guide spoke English well and showed us the Vatican, St Peter’s Basilica and the Colosseum, keeping my children engaged. Visiting Rome in a day without feeling rushed is not easy, but this tour was great at showing us the main attractions in detail. 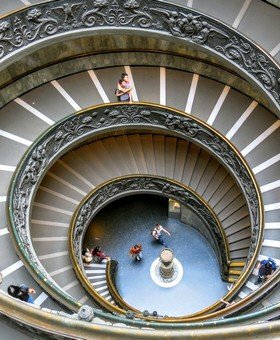 The vatican Museums are huge and our guide selected the short path for us, in order to give us enough time in the Sistine Chapel and St Peter’s. We had lunch in a typical restaurant before resuming the tour to see the Colosseum and several other archeological sites. 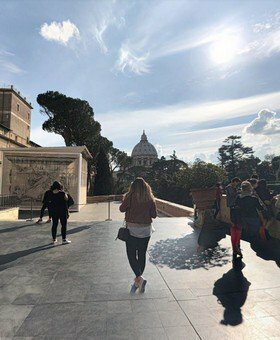 We recently did a one-day tour of Rome with Guidaly and we were extremely happy with the experience! Our tour guide showed up at our hotel right on time. From the minute she introduced herself (in excellent english) we could tell this was going to be a great day. The tour and the city were amazing. Alice is a very pleasant person with good language skills and knowledge of the areas we visited. She also went on and beyond in helping me with transfers and other tourists attractions. I would highly recommend her as a guide for a big group to small or individual guided tours. My family of four spent three days in Rome with another family of friends. We booked this tour because, for 8 people, it came out cheap, and we were not disappointed. 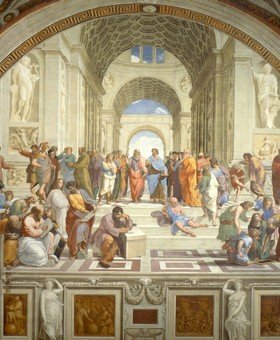 We skipped the long lines at both the Vatican and the Coliseum and we were given great info on art and history in a way that it was never boring. Our lunch in the Coliseum area was really nice, weather was great and the tour guide was very professional. 5 stars! Alice showed me and my family around, we had a very long day but she was perfect in showing us all the major sites without any hurry, and finding also the time for the best coffee and gelato in town! She’s more than a guide, being around with her is like being with a friend!